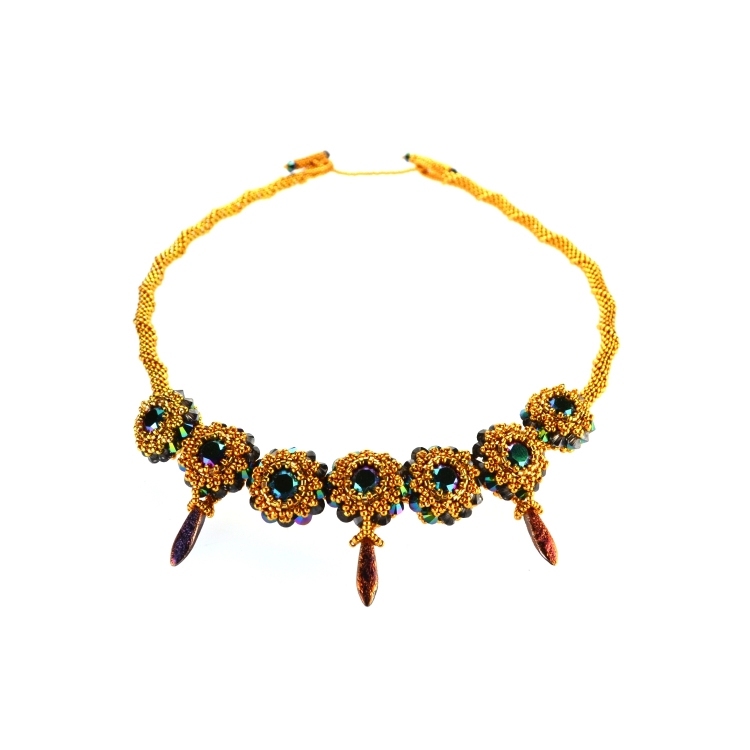 This sparkling project features unique beaded bead pendants strung on a specially-designed coordinating beaded rope with a fully beaded clasp. Designed to test your beading skills this advanced class uses small beads to create versatile, variable & interchangeable pieces so you can make the finished piece of jewellery of your choice. For more information or to book a place, please contact the host of this class direct. If you have any queries about the class content or suitability, please contact me.